In addition to securing a new featured attraction for UFC 153, the world’s most prestigious mixed martial arts promotion also locked in the card’s new co-main event on Wednesday evening. 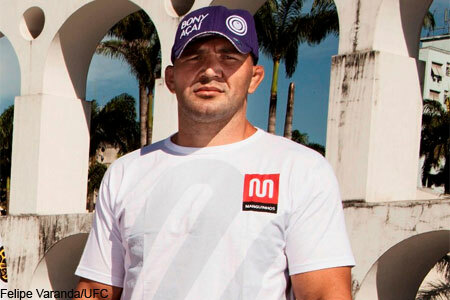 According to our partners at USAToday, light heavyweight Glover Teixeira (Pictured) now meets Fabio Maldonado in the October 13th fiesta. Teixeira was slated to meet Quinton “Rampage” Jackson inside HSBC Arena in Rio de Janeiro, but the former 205-pound king was forced to bow out yesterday with an elbow injury. The 32-year-old hasn’t lost a scrap since March of 2005, rattling off 16 straight victories during that span. While UFC president Dana White previously professed nobody wants to fight Teixeira, Maldonado publicly petitioned for the shootout after Rampage’s exit. The veteran has dropped two consecutive bouts, with his most recent defeat coming in a unanimous decision to Igor Pokrajac in May.